These 24th Instants Vidéo are the theater of our wanderings, the scenery of our dearest and merriest utopias, and sometimes the scene of very topical tragedies. That goes to show that we are inviting you into a fragile, unsteady, moving territory. "2011 is a year of intense outbursts. The peoples of the mediterranean south were able to redeem the idea of revolution by associating it with a fierce will of liberation. Borders were overwhelmed, the idea initiated in Tunisia set ablaze and embraced all the area and way beyond like wildfire. Spattered and deeply filled with these emancipating quick fire, we tried to build an event under the influence, tuned in, on the watch, sweeping the dust off our old preconceived ideas, trusting for that the vivid and vigilant imagination of the artists we love. We insist that you, who will come and visit the artworks we chose to exhibit and screen this year, accept that we don’t really know where we are going. Let ourselves go to the unknown, the opacity, the undetermined. « Never cease to change horizons in ourselves » recommends the poet Edouard Glissant. To collectively have the vocation to be discoverers. To see what’s behind the line whatever happens. Revolution might be only that." 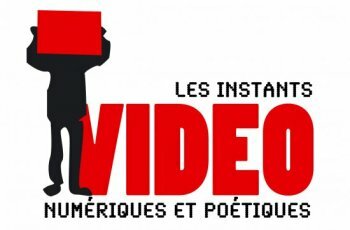 This new edition of the Instants Vidéo will take place here (Marseilles) and elsewhere (Vitrolles, Port-de-Bouc, Martigues, Bédarieux, Paris, Milan, Mexico, New Delhi, Camagüey in Cuba). Rooted and nomad. On November 4th, from the afternoon, we invite you to take a look on several video installations hosted by our friends of the ADPEI Multimedia Space, Art Position, Les Grands Terrains, Espace Culture (showcase), Où and La Traverse. On November 5th at noon, you will leap to La Tangente (flea market) and then discover at 6 PM a first volley of installations exhibited in the Seita hall at the Friche Belle de Mai. On November 7th, screenings and round-table conference about the question of the double at the Marseillaise Memorial. Various things will take place at the Friche. 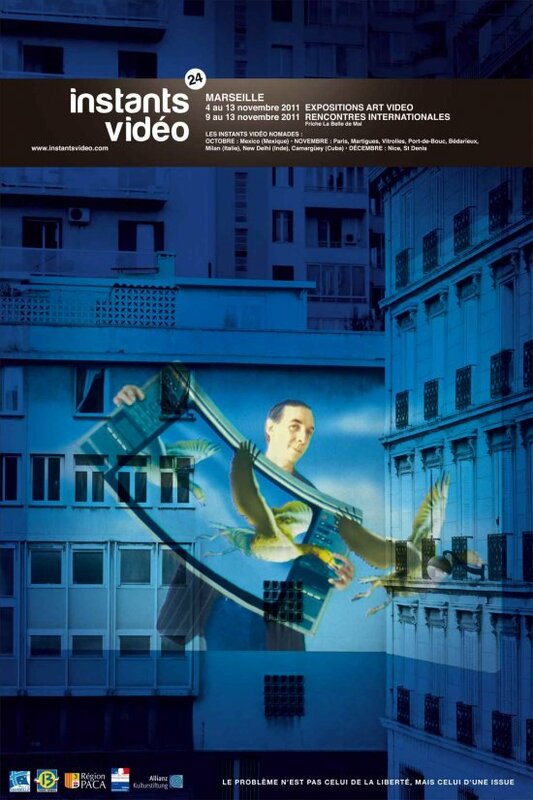 A tribute will be paid to the Russian Futurist poet Velimir Khlebnikov who influenced so many artists including the great Gianni Toti. « Returns from Palestine » where we participated in the last edition of the /si:n/2 festival in June, feedbacks on the 1st video festival in Kirghizstan, a glimpse on Cuban video creation, a conference on bomb-artworks... Well, the All-World so dear to the poet Edouard Glissant. Artworks at work, artists to meet, discussions in delicacy around a glass or a tender bite, share ideas about utopia and artworks the police confuses with bombs, yes but that’s not all, our guest of honour Michel Jaffrenou will be there. Imagine laughter and pertinence, poetry and impertinence, in just one person: My life My work My bugs. The show-performance not to be missed under any circumstances on the evening of November 12th. Circumstances not to come allowed: a love date or a revolution to make. More than ever: open and free entrance because we think that art is priceless, that we demand a lot to our guests’ sensitive-attentive-eyes, that every program-encounter is a general assembly of the living, that our payment is your speech-listening-breathing-laughter-and-thought. The persons who will welcome you will be bartending, serve meals, translate the debates in English (or in French), will go pick up the artists at the airport... don’t get paid for these responsabilities. They accompany the poelitic project of the Instants Vidéo.